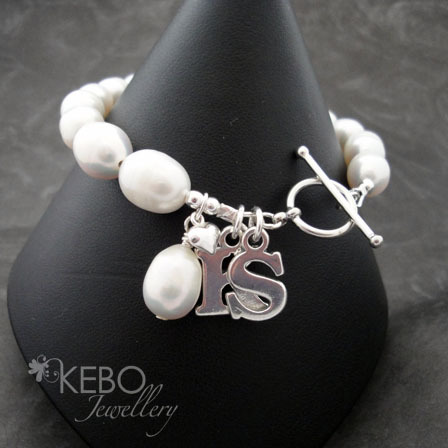 This bracelet is great for your wedding day, either put the initial of the bride and groom or the brides new initials! Or how about adding the initials of your children!! 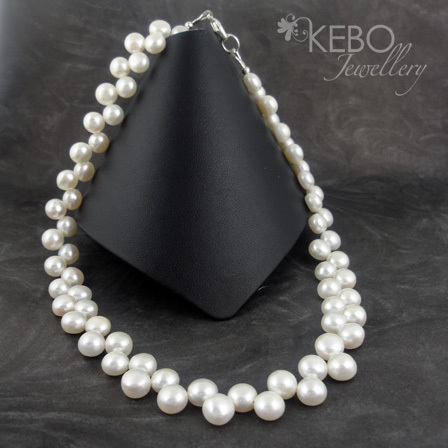 Each pearl measures approximately 8-9 mm. 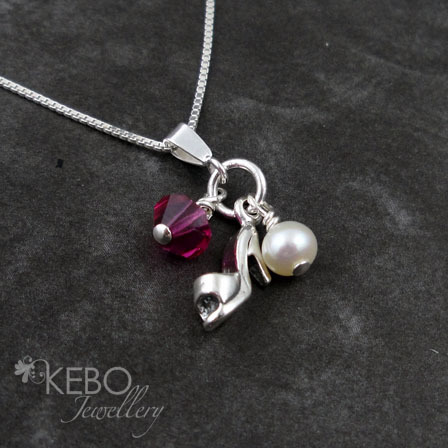 The initial charms on this bracelet are larger than those on the Pearly Princess bracelet. 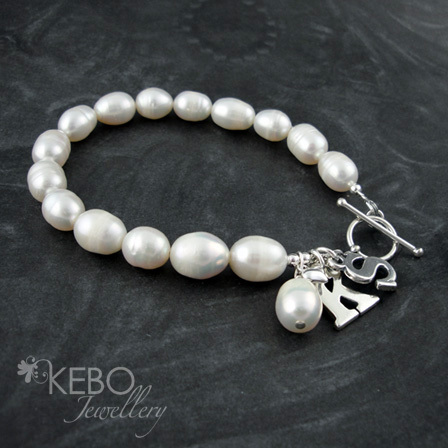 This bracelet comes with 4 charms: 2 initials, 1 heart and 1 pearl. If you require more charms, these can be added at an additional cost. This bracelet is made to measure with Fresh Water Pearls and sterling silver. The great thing about made to order/measure is that they can be made to your specifications therefore if you want to change the design or colour, this may be possible. Please note, this product is not a unique piece/one off, however I will never mass produce it.